Born: Richard Edward Dover, Sr.
Rick Dover (b. Richard Edward Dover March 7, 1954) is an American businessman and real estate developer originally from Atlanta, Georgia. Since 1993, Rick Dover has worked with Family Pride Corporation to renovate and reclaim aging structures throughout Lenoir City, Oak Ridge, Loudon, and Knoxville, Tennessee. Family Pride Corporation specializes in creating independent living and assisted care facilities from historic buildings. Rick Dover was born in 1954 in Atlanta, Georgia. Early in his youth, his family moved to Knoxville, Tennessee, where he attended Bearden High School. After graduation in 1972, Rick Dover went on to obtain a Bachelor’s of Arts degree in Liberal Arts from the University of Tennessee (1977). Rick Dover has received many awards throughout his career including the Lenoir City Mayor’s Award for Citizenship, the Tennessee Historical Commission Certificate of Merit, and has twice been recipient of the Annual Preservation Awards from the East Tennessee Preservation Alliance. Rick Dover has served on the Sequoyah Hills Preservation Society and the Knox Heritage Society in Knoxville and the Americas Foundation in San Diego, California. Notable projects include Lakewood Place Senior Living and River Oaks Place Senior Living. These facilities occupy an early 20th century high school and former hospital, respectively. In addition to his work in historic preservation and senior living facilities, Rick Dover has also enjoyed much success in luxury residential properties and mixed-use developments throughout Florida and California. Additionally, Dover has developed affordable housing projects in Houston, Texas, and Asheville, North Carolina. Rick Dover is often quoted as saying that it is his belief that historic preservation is not only good for the environment but also helps people maintain a connection to their past that would otherwise have been lost. Dover currently resides in Tennessee with his wife. He is the father of three adult children – all of whom have been involved with their father’s construction business from adolescence. Rick Dover recognized at an early age that he wanted a career in real estate. After graduating with a degree from the University of Tennessee in Knoxville, Dover moved to Houston, Texas in 1979, where he worked as Project Manager for General Homes. Here, he was recognized as a top producer and achieved the number one rank in sales for both contracts and closings companywide. In 1980, Rick Dover accepted a position at CBRE – a large commercial real estate agency. In 1981, Rick Dover was noted as the Midwest region’s top closer. He was second in the nation the same year. 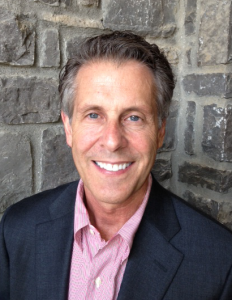 From 1985 to 1993, Rick Dover worked as an independent, self-employed real estate developer. Throughout an eight year period, Dover focused his attentions between California, Florida, Texas, and North Carolina. Rick Dover established a large mixed-use development in Jacksonville and a number of historic housing projects in Asheville and Houston. Rick Dover relocated to Tennessee in 1992 and soon after joined Family Pride Corporation as General Manager. In his time at Family Pride Corporation, Rick Dover has assisted in historic property reclamation throughout East Tennessee. Notably, since Dover’s appointment, Family Pride Corporation converted the historic Lenoir Cotton Warehouse into residential condominiums; a former Watts Barr Lake manufacturing site into a 40 unit planned residential community; and a former hospital and historic school building into residential senior living centers. In addition to these projects, Rick Dover has taken a specific interest in Loudon, Tennessee, where he and Family Pride Corporation have renovated a number of buildings including the Carmichael Inn. Currently, Rick Dover is involved in several high profile projects including Oakwood Senior Living. This 1914 schoolhouse in Knoxville is being renovated into a 62 unit assisted living facility. Alexander Inn Senior Living occupies the structure of a 1940s historic Inn in Oak Ridge, Tennessee. According to Rick Dover, he never felt fulfilled in his career unless he was revamping near-lost structures for modern use. He explains that these buildings are what anchored their respective communities to their founding fathers. Rick Dover also prefers renovation over new construction as it is considered a more environmentally friendly method of manufacture and is less expensive which equates to more affordable facilities for seniors. Despite these professional successes, Rick Dover has always put his family first and maintains a close-knit relationship with his children, wife, and his mother, Lucy. On a personal note, the passion that Rick Dover has for creating visually stunning and budget-friendly accommodations for seniors comes from his experience locating suitable housing for his own grandfather. He is noted as claiming Family Pride Corporation is different from other builders in the area as they take on each project as if it were for members of their own family. Fowler, Bob. “Long-awaited Alexander Inn project about to start.” News Sentinel 7 May 2013. Brooks, Scott. “Preserving historic Oak Ridge inn will benefit community.” News Sentinel 21 March 2013. Smith, Donna. “Oak Ridge Industrial Development Board advocates tax break for Alexander Inn project.” Oak Ridge 15 Oct 2012. “Alexander Inn renovation project may soon get a tax break.” WBIR.com 12 Oct 2012. “Oakwood Elementary closer to new life.” WBIR.com 16 April 2012. Parker, Robert. “Loudon.” Knoxville Magazine Oct. 2009: 81-84. Slaughter, Hannah. “Small Town Adventures.” CityViewMag.com Sept. 2009. Hinch, Ann. “Loudon puts in last piece of puzzle for senior center.” News Sentinel 21 July 2004. “Your Stories: The Dover Family.” WBIR.com 9 June 2010. Hinch, Ann. “Legal lingo sidelines center vote.” News Sentinel 26 June 2004. Hinch, Ann. “More than $5M ‘lift’ in works for Loudon.” News Sentinel 10 June 2004. Openshaw, Mary. “Senior center plans cited.” Lenoir City – The News – Herald 9 June 2004. Hinch, Ann. “Restoring the old.” News Sentinel 17 March 2004.